Yes! It requires three power cords! Absolutely no crosstalk or contamination. This translates to a lower noise floor. 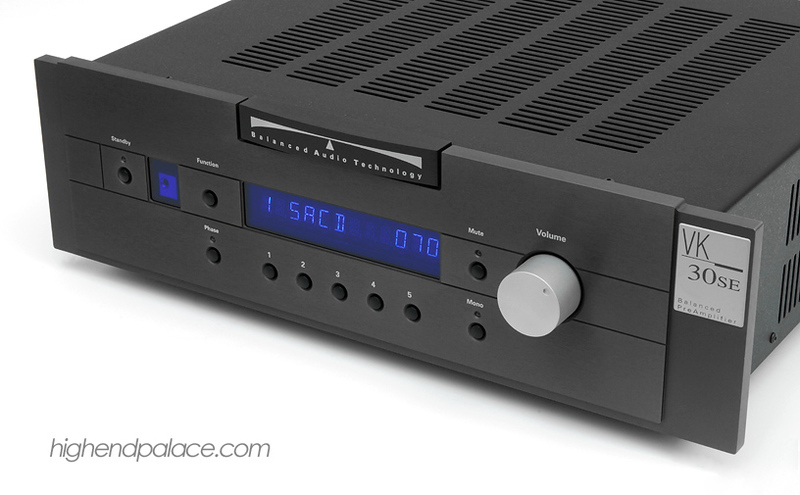 High-End Palace presents the world-class Block Audio Line & Power Block SE preamplifier. During our trip to High-End 2018 in Munich, Germany I was introduced to Block Audio. I was blown away by the craftsmanship and their stunning unique look. The Line & Power Block SE preamplifier features Class-A operation, all discrete audio circuitry, built-in Class-A headphone amplifier, built-in MC/MM Phono stage with remotely controlled settings, battery supply for audio circuits with up to 15 hours battery operation and a smart automatic function will activate charging mode when the battery becomes empty, or preamp is switched off, each channel is powered by its own battery bank, from Input to Output: Short audio signals paths without any internal wiring, both channels, supply units and non-audio circuits are physically separated, shielded and electrically isolated, 28 kg / 62lbs, 40 kg / 88 lbs in custom flight cases. The place for the world’s best music systems! Contact us for Block Audio US, Canada & South America Special Promotion. It's time for something spectacular! DEMO AVAILABLE! - TRADE-INS WELCOME! The Pass Labs features the patented circuit topology super symmetry and Pure Class A designs. We describe the sound of the PASS as warm, liquid, tube like with incredible control yet retaining the neutrality and benefits of high-end solid state designs. 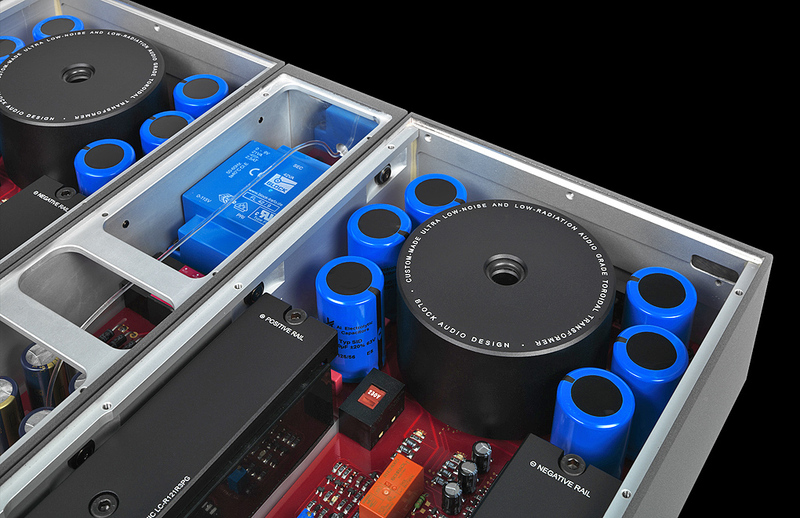 Pass Labs is regarded as one of the world's best manufacture of high-end amplifiers and preamps. The Xs we start with a clean slate because the Xs line is of course new. 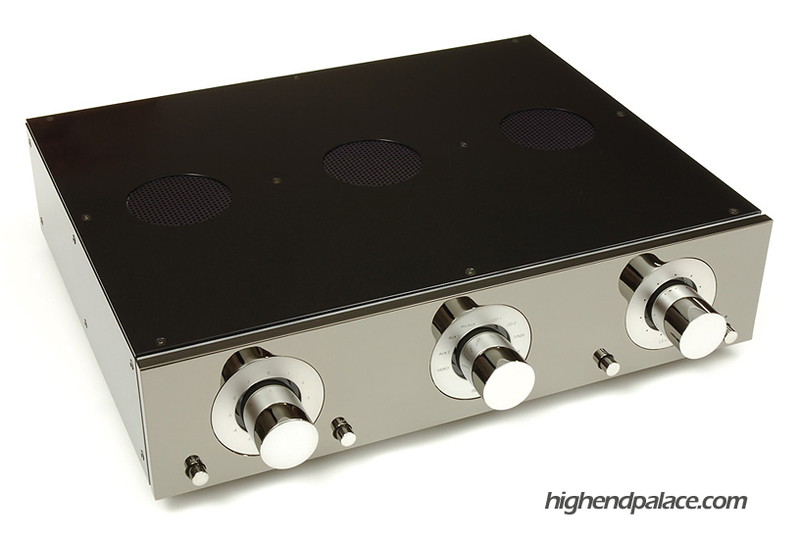 It is a large two chassis preamp built in a true dual mono arrangement. The circuit board materials are optimized for performance in each area, a power supply circuit board has different requirements than a gain stage and we use different types optimized for their specific uses. 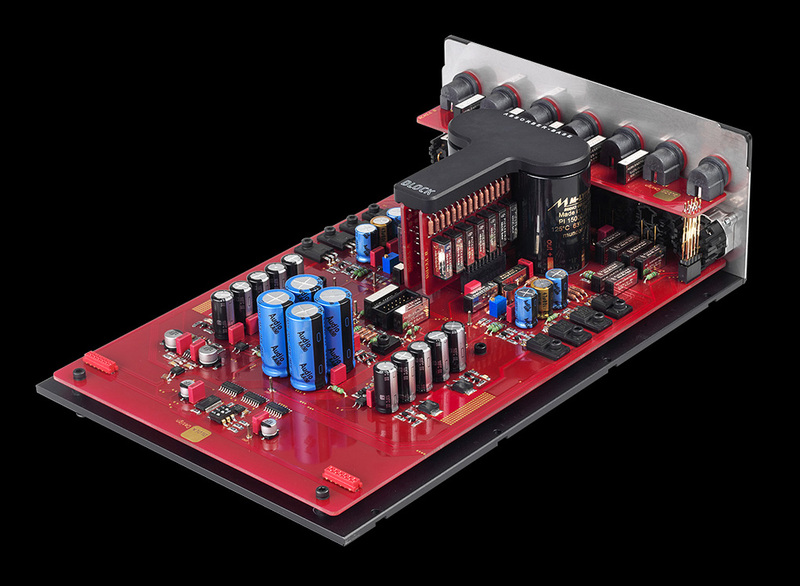 Each channel has its own power supply board with 100,000 uf of capacitors combining several kinds for optimum performance from high reliability electrolytics to custom polypropylene. The use of newly available silicon carbide semiconductors kicks performance up a bit by dropping noise below the level of the XP30. The gain stages from input to output connectors and all parts between them have been chosen for maximum sonic performance. We use a DC coupled ultra symmetric gain path with high bias class A circuitry. The power supply has lower noise with a refined circuit design and layout. New gain stages with auto bias and DC compensation keep performance at prime. But it all comes down to the sound. When you go through the door that is the Xs preamp there is no going back. Link to PASS Labs website. 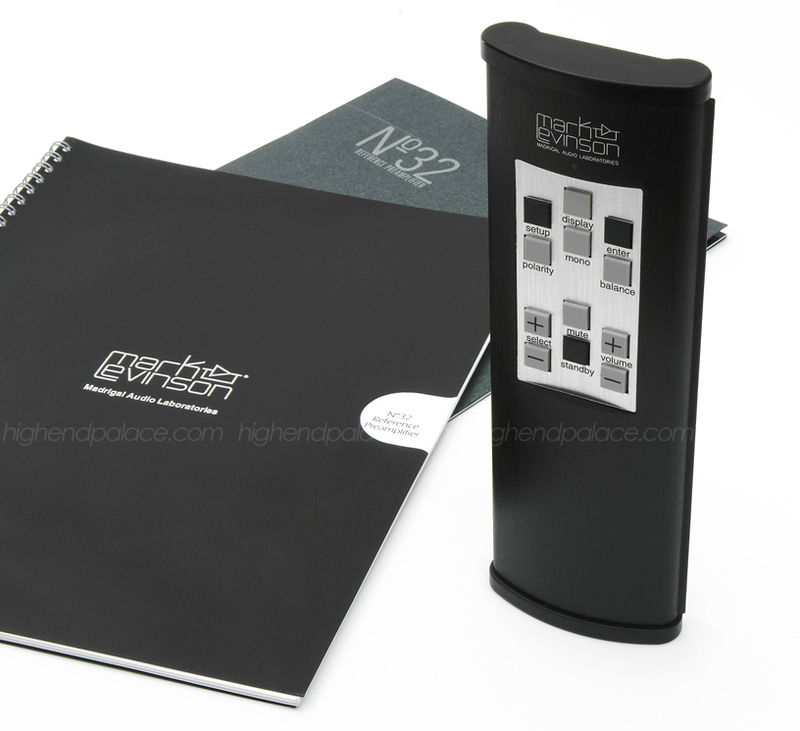 Contact High-End Palace for PASS LABS! NEW! BAT VK-33 Solid State Balanced Preamp featuring six 6922 tubes. Now shipping the new new BAT VK-53SE transformer-coupled outputs catapult the performance of this fully balanced, zero-feedback design to a higher level. These transformers replace BAT’s venerable Six-Pak of output capacitors with custom-designed amorphous core output transformers. Each is encapsulated within a mu-metal shield for the ultimate in signal purity and noise isolation. 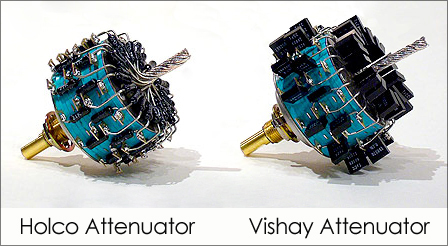 Electrically, the custom transformers significantly improve the VK-53SE's ability to drive low-impedance loads. Sonically, they offer greater dynamics, transparency, top-to-bottom extension, and a more coherent, organic portrayal of music. More than a decade ago, BAT introduced the world to the 6H30 SuperTube. The VK-53SE continues to proudly use eight 6H30 SuperTubes to form an extraordinarily high-current, low-impedance drive capability. As BAT wrote upon introduction, “comparing the 6H30 tube to a standard 6922 is like comparing a Formula 1 race car to a family sedan.” In the VK-53SE, the signal is effectively transmitted through only one gain stage. The UnistageTM circuit provides the ultimate simplicity of amplifying the incoming signal only once, while using no global feedback to double back on the straight-through signal integrity. 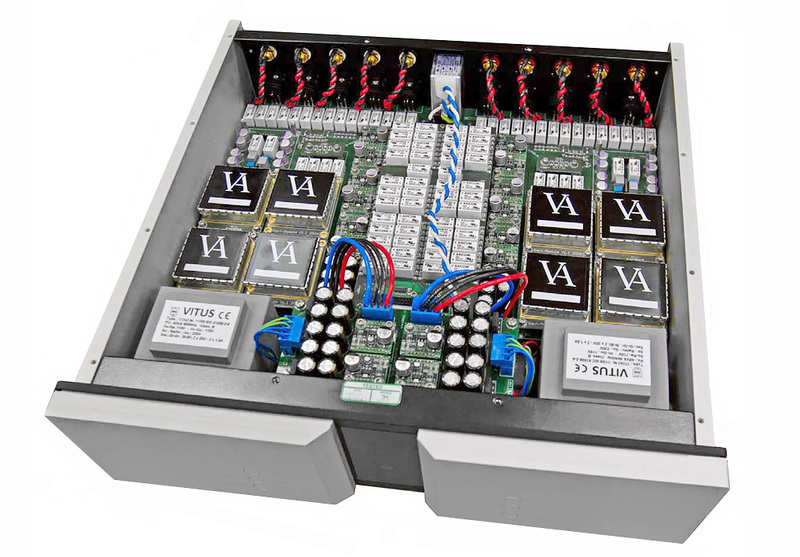 Boasting one of the best and most flexible user interfaces in the high end, the VK-53SE features myriad customizable options ranging from dimming to fading and source-naming. 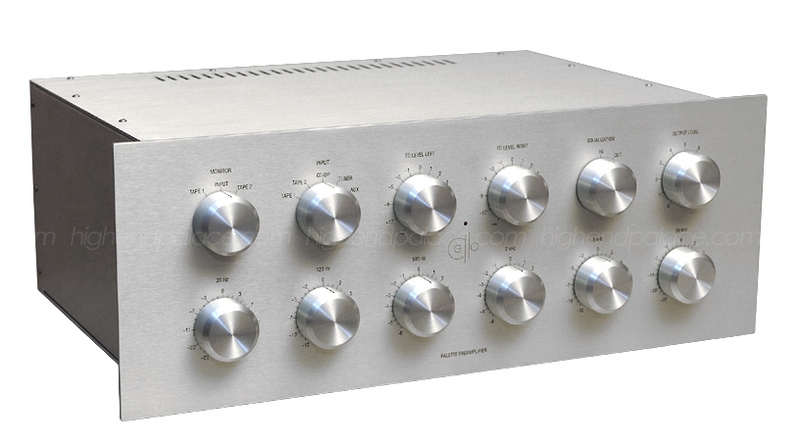 The VK-53SE can also be fully upgraded to the Rex II preamplifier. And, you can always get the volume just right. It employs a proprietary electronic shunt volume attenuator that offers 140 steps of 0.5dB resolution. Discrete metal film resistors bleed the unused signal to ground. From the deepest bass, to extraordinary dynamics, as well as a greater sense of layered transparency, the VK-53SE is your new reference. This new VK-53SE provides a huge improvement sonically over the previous generation VK-52SE. The new Balanced Audio Technology preamps are regarded as one of the best preamps available in the high-end audio world. Link to the BAT's website. Contact High-End Palace for BAT Preamps! I came back from the 2009 Rocky Mountain Audio Fest with something very special, Vitus Audio Class A components from Denmark. As you all know music is my life, is what I know well, what I get to do everyday and the only thing I have done for the last three decades. 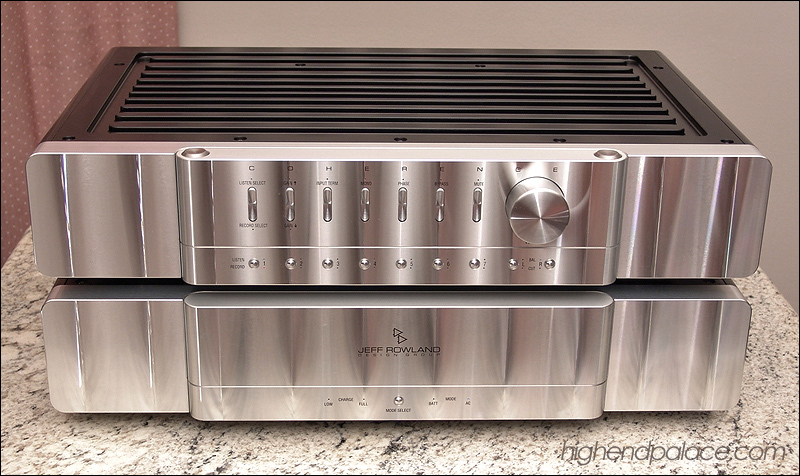 Now days is very hard for me to be impress by components or a high-end system unless is something truly spectacular. I as a perfectionist audiophile, music engineer and a talented musician know when something is out of this world after a few recordings that I always take to the high-end shows so that I can listen to personal familiar reference recordings that covers A to Z in realism, stage depth, openness, dynamics, bass extension, vocal smoothness, air, interaction between instruments, sibilance perfection, high frequency naturalness etc. I was quite taken by the pride of craftsmanship and sound quality of Vitus Audio. You will not believe the degree of sonic perfection they deliver. I am always looking to improve, learn if there is something to be learned, we as humans never stop learning no matter how much we know in our field or how smart we are. Listening for nearly two hours to Vitus Audio Class A components made me realize that there is another level of refinement and musicality for high-end audio lovers and perfectionist. Here is a link to the Vitus Audio website so that you can see their whole line up: VITUS AUDIO. 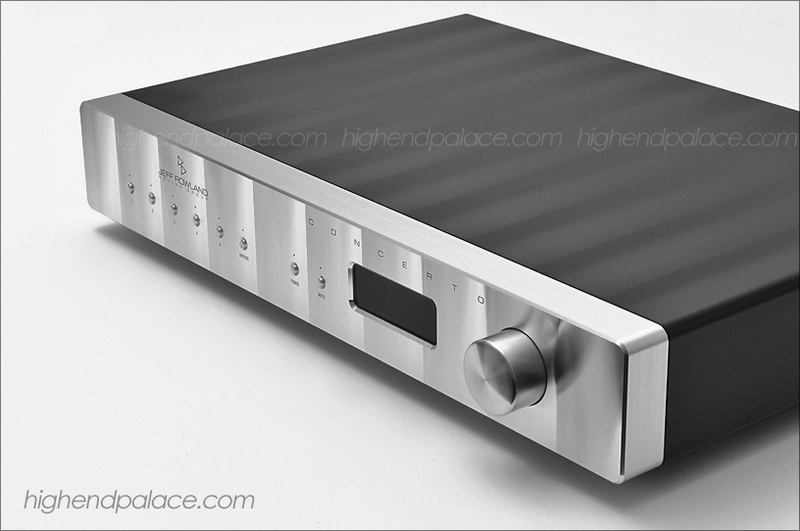 Contact High-End Palace for Vitus Audio! 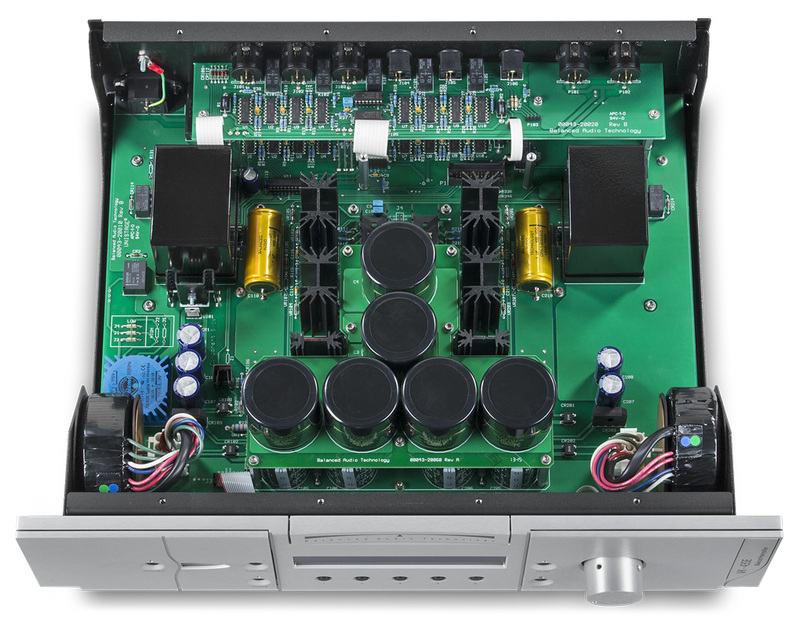 Regarded by many reviewers and audiophiles as one of the best manufactures of solid state preamps in the world. All balance dual mono design with remotes. 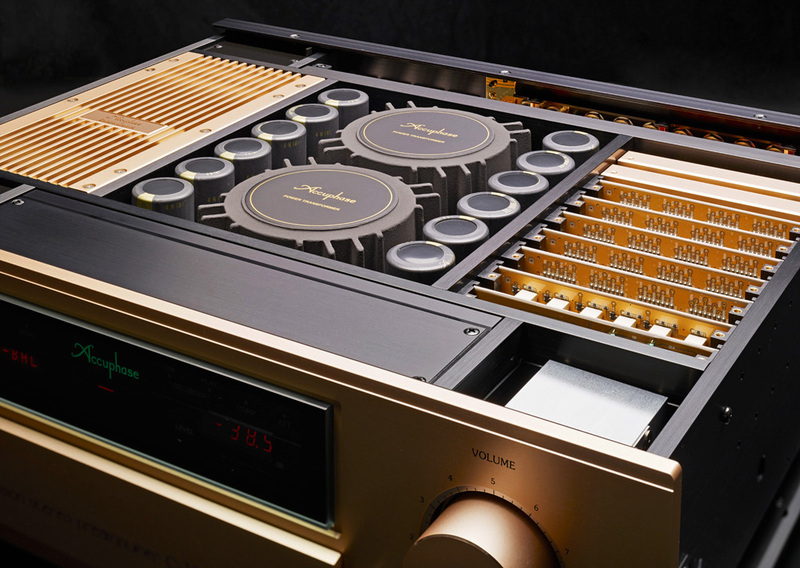 Precision reference preamp with optional Accuphase phono module, master metal remote, dual-mono balance construction with separate power supplies, custom teflon-based printed circuit boards, current feedback technology. True world class high-end preamps. This is the brand that audiophiles turns to when they want liquid smooth sound without dealing with tubes. And oh boy do I have a history and stories to share with you about I Accuphase. Contact me that you will never be in better hands, Larry at High-End Palace 786 388-8050. Link to Accuphase. 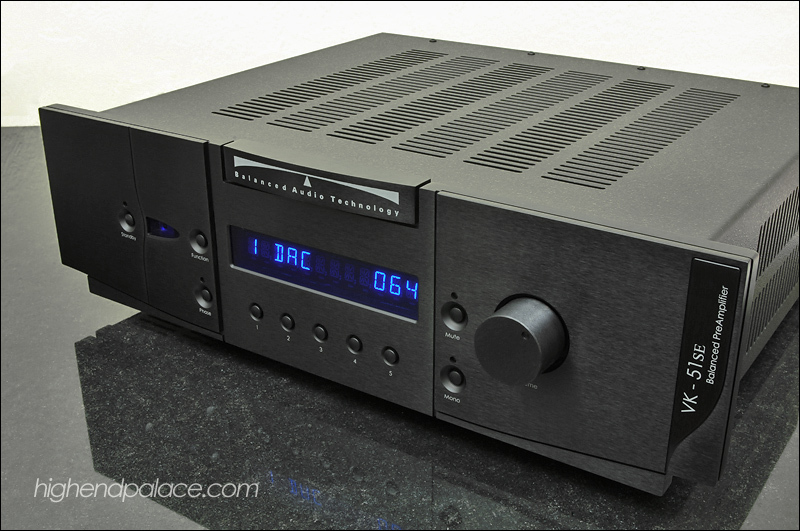 Contact us for Accuphase Preamps! 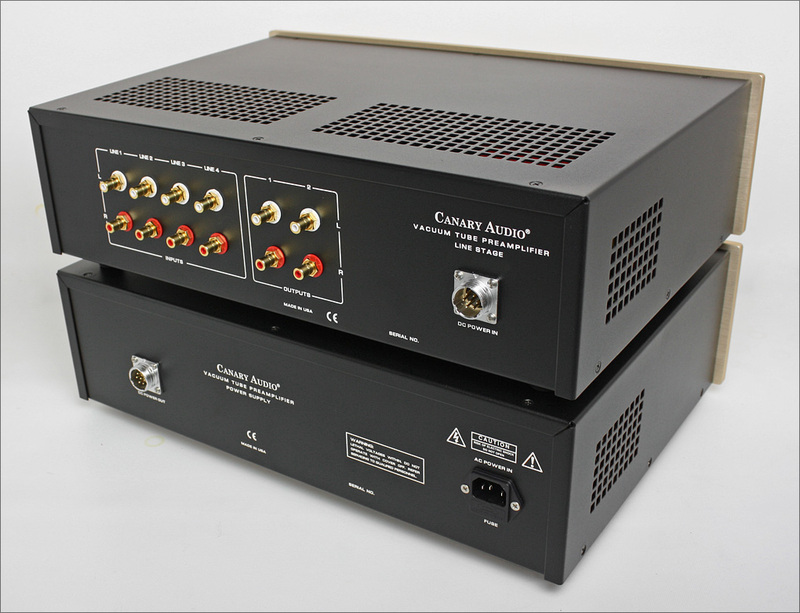 Full size separate power supply features dual transformer with 1 x GZ34, 2 x 6V6 and 1 x 6SL7 vacuum tubes. 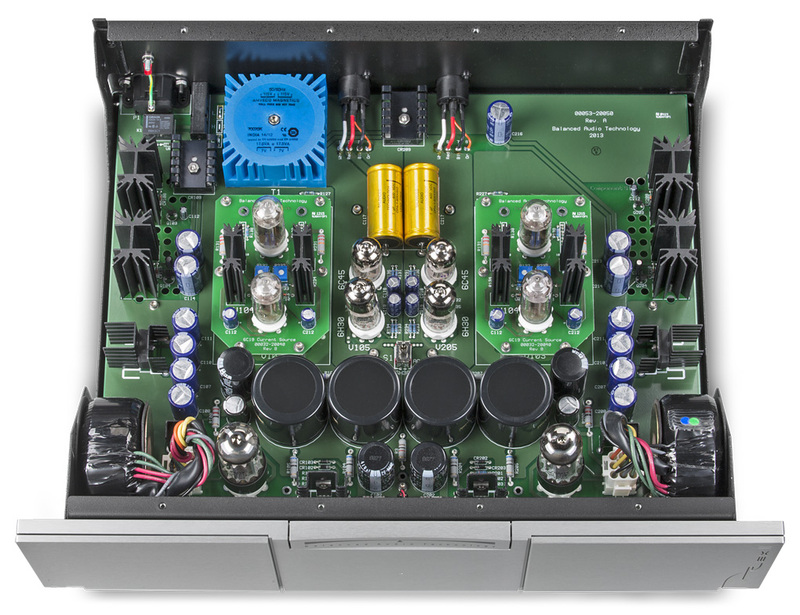 Full size separate power supply features 1 x GZ34, 2 x 6V6 and 1 x 6SL7 vacuum tubes. 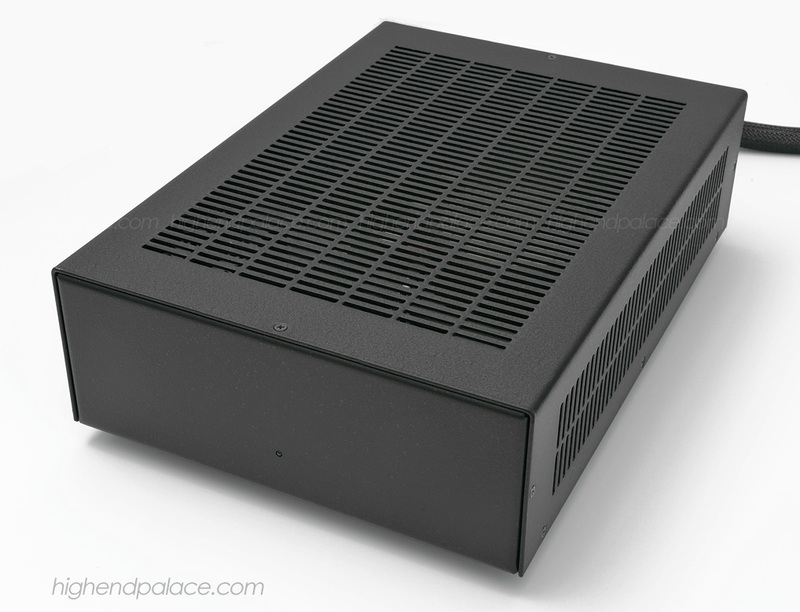 New at High-End Palace Canary Audio. 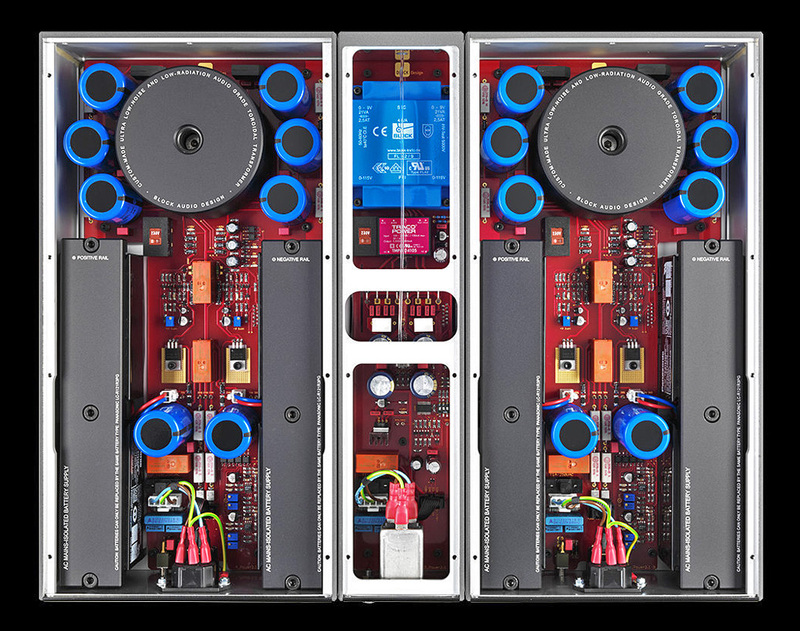 Experience the magic of a reference two and four chassis all tube preamps and hear what you been missing. Organic, musical, open and rich sounding preamps! See the complete line up of handcrafted preamplifiers made in California, USA. Contact Larry D. Diaz at High-End Palace 786 388-8050 for details. Link to CANARY AUDIO website. Contact us for Canary Audio Special Promotion Sale! First Sound is regarded as one of the best hand built tube reference preamps available in high-end audio. These unique tube preamps are a true specialty product from the company only makes hand built reference tube preamps in Renton, Washington for two decades and now moved to a new bigger place in Brooklyn, New York. The First Sound Dual Mono Pure Class A preamps features point to point wiring, superior grounding topology, oversized transformers, premium and exotic capacitors, input selector controls for each channel, hand-crafted volume controls attenuators with selected Holco or Vishay resistors for the left and right channels and arrays of power supplies unlike anything you ever seen in any high-end audio preamp. There are ten models to choose from starting with the new 65 pounds Presence Deluxe Mk III with one outboard power supply, the next six models are 110 pounds preamps with dual outboard power supplies, one for each channel. Now shipping new 2019 production of First Sound Mk. 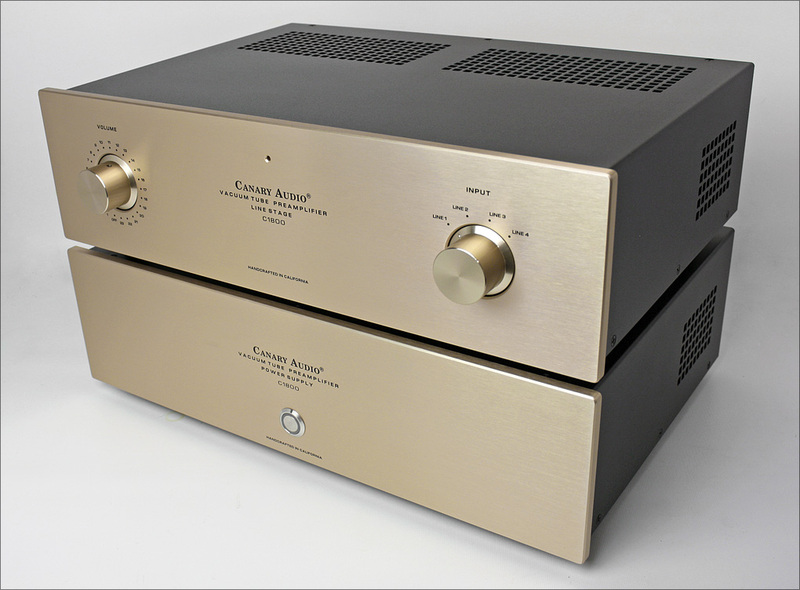 III-SI Class A Reference Tube Preamps ranging between $6299 to $42,900. 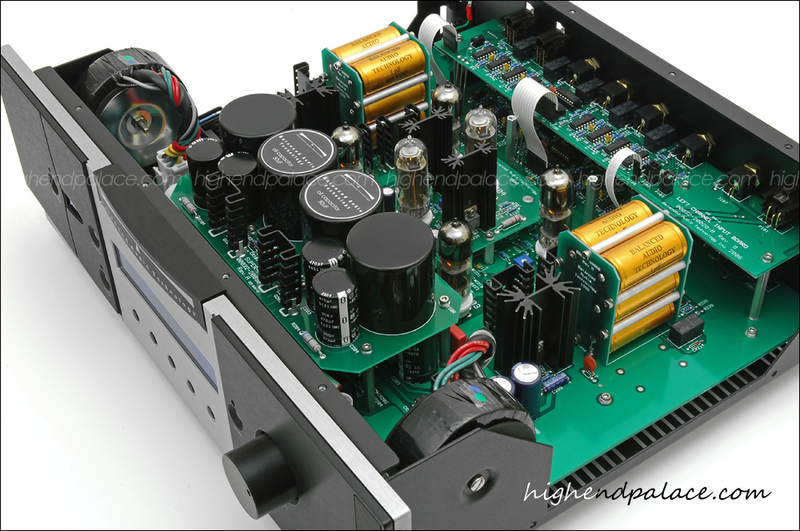 Contact High-End Palace for the best tube preamps available in high-end audio. When only the best tube CLASS A Tube preamp will do! First Sound has been building true reference tube preamps out of Renton, Washington USA for seventeen years. Each First Sound excels in uncovering subtle detail through an absence of background noise, pollution, grain and haze. 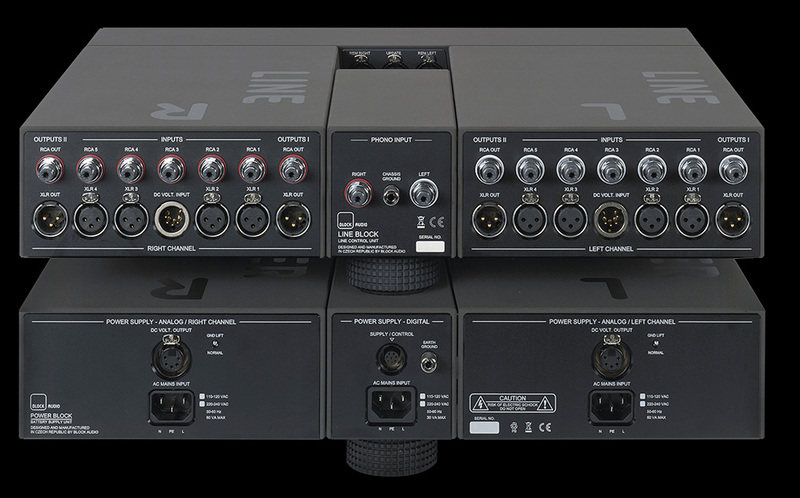 With First Sound preamps you will capture the essence of music and the emotions of the performance, the music is left to appear in glorious relief against a noiseless backdrop. First Sound has left no stone unturned in the quest of optimal performance, exploring every last tweak, in a search to uncover every last gram of performance. Each part and piece of the design is carefully chosen to have the proper synergy. Even the torque used to affix the RCA connectors to the rear panel and the location of the feet under the unit were chosen for optimal performance! The quality of First Sound is the testament to the countless hours of listening and tuning that have been invested to offer audiophiles the best hand built tube preamp. First Sound builds their preamps to exacting standards utilizing top quality materials and techniques. Link to the First Sound website. Point to point wiring, no complicated circuit boards! Short and direct circuit traces. 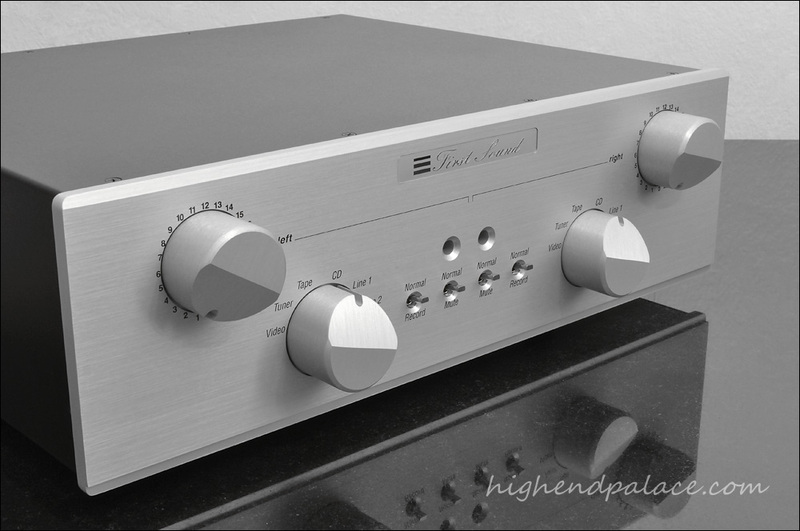 The Steelhead is one of the most advance phono tube preamp for analogue turntables, MM & MC with 0 to 1100 picofarads in 10 picofarad steps. 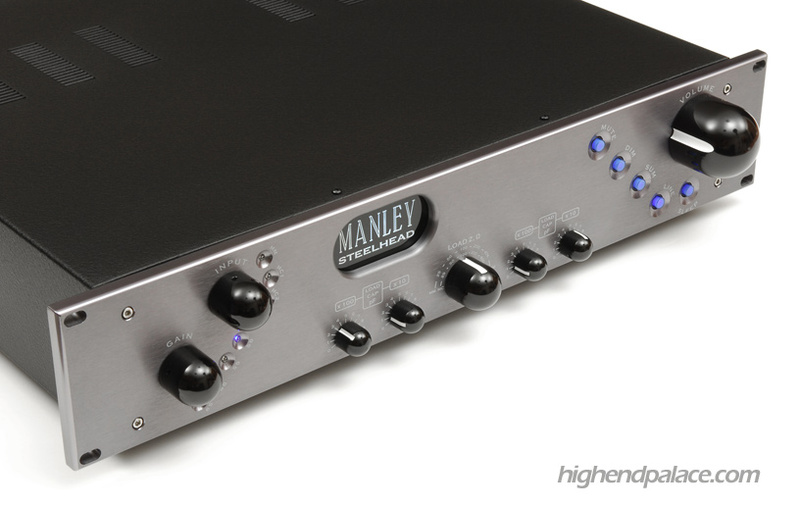 This reference phono preamp is so good that it has been winning best sound at the shows year after year with the Manley REFERENCE Mono Blocks, a world class high-end product. Contact us for Manley Steelheads! 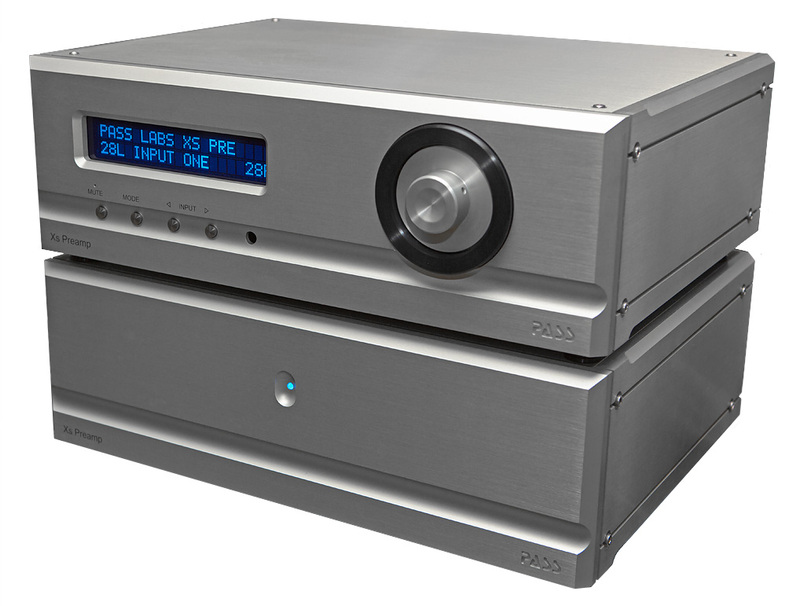 Looking for the best condition pre-owned reference preamps for your high-end system? E-mail us or call us today that we sell the best certified trade-ins, demos and in the business. Call us even if you don't see what you are looking for that most likely we have it. Contact High-End Palace 786 388-8050. 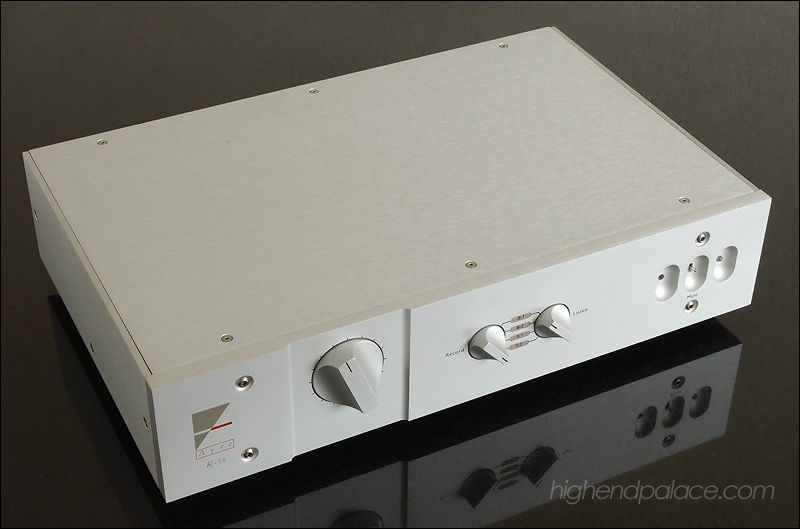 I now have available a new 10/10 Jeff Rowland Concerto Reference Balanced Preamplifier with remote and manuals. This preamp is arguably the best all around preamp that Jeff Rowland has ever made along with the new $20,000 Corus with optional full size power supply. 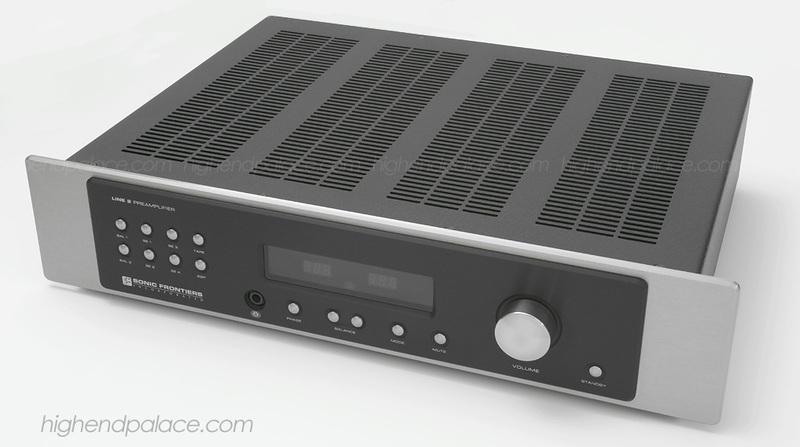 The Concerto preamp let's you listen to your analogue set up or digital playback system without adding any sonic signature, it provides a crystal clear sound throughout but specially in the top end where you hear information you have never heard before, air around instruments and voices that simply gets lost with 98.5% of preamps. This new 10/10 Concerto preamp is a real bargain since you have to spend over $20,000 on today's market to outperform it, it's even surpassed the performance of two of my personal preamps from my collection, the Synergy IIi and Coherence II. For details contact me that you could not be in better hands. Contact me for this flawless Concerto! Excellent condition BAT VK-51SE World Class Reference Tube Preamp with metal remote, manual and box. 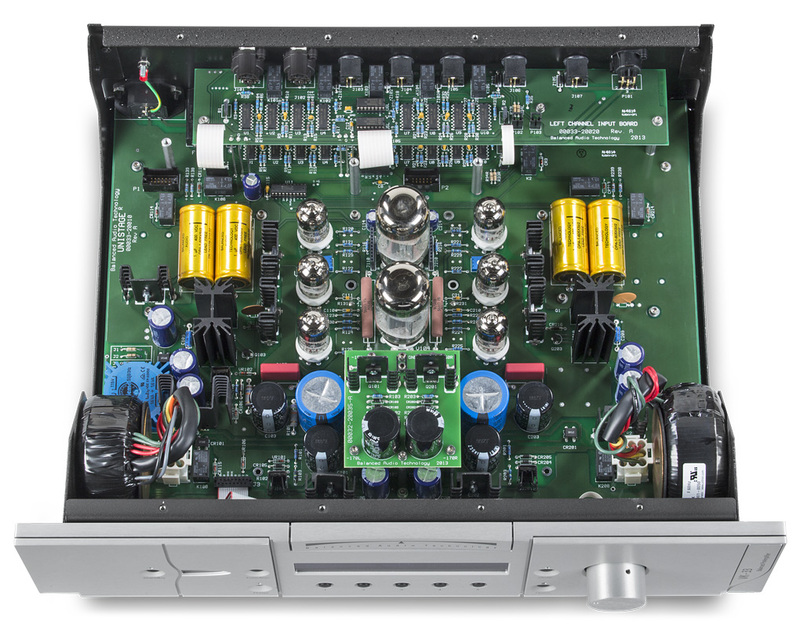 STEREOPHILE CLASS A Recommended Component for years. 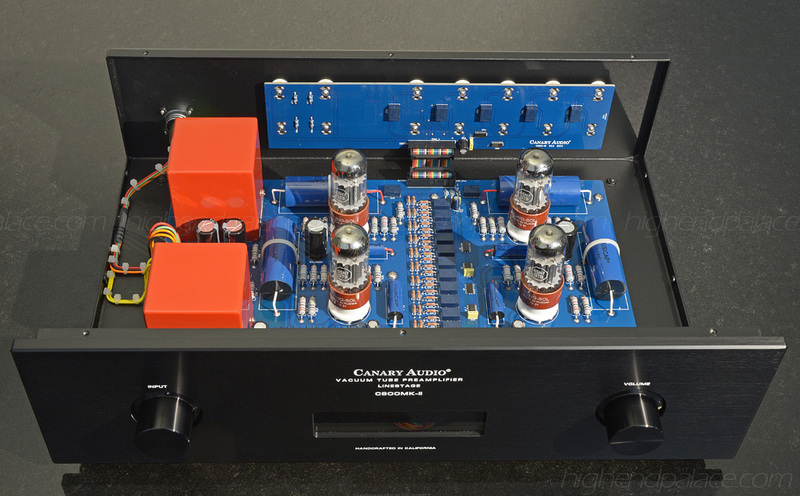 Regarded one of the top 10 Reference Tube Preamps in the world. All balanced Tube preamp with 5 XLR inputs and dual XLR outputs. 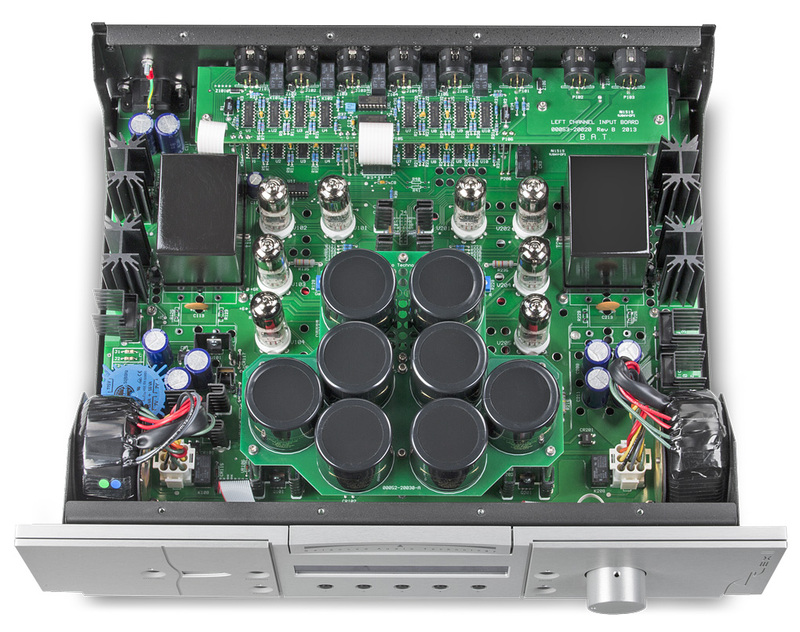 Reference balanced tube preamplifier with half chassis power supply, RCA and XLR inputs, two stereo sets of RCA and XLR outputs and 1/4" headphone section with plenty of gain that provides high performance for any high-end headphones. It comes with the round metal remote. One owner unit! Outstanding buy at this price for the sound quality it provides. Free shipping in a 58 pounds double box with FedEx. Certified Trade-In unit. 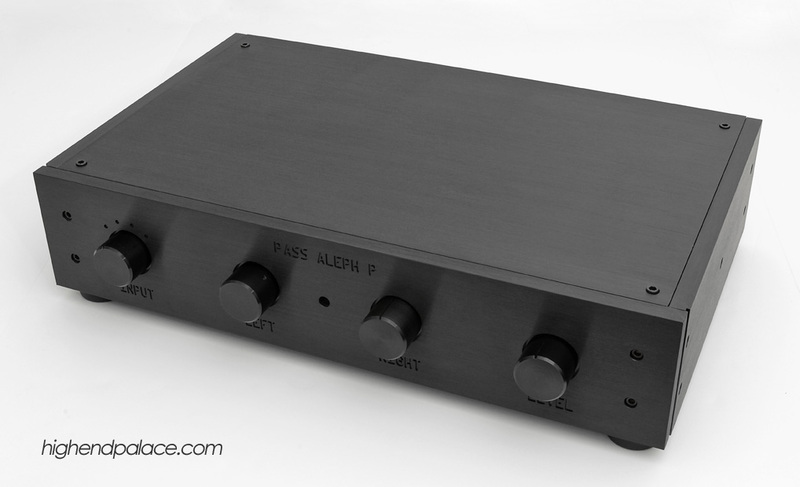 Excellent conditions Pass Labs Aleph P balanced reference preamp designed by Nelson Pass with XLR and RCA ins and out. This preamp has been fully checked by our tech. If you need any additional information call me that you could not be in better hands. 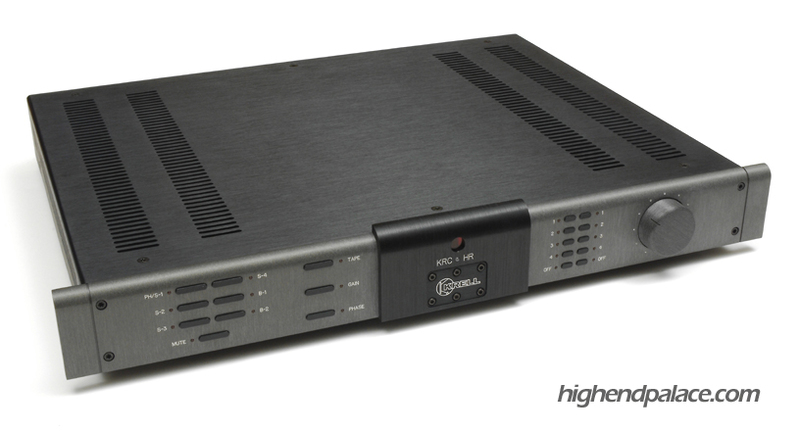 This is a true classic KRELL preamp in conditions that you need to see to believe. One owner unit that had it all along in a 3rd small system. This preamp sound superb, it makes most preamps sound congested when you compare it. It has amazing clarity and dynamics. I recommend a high-end copper power cord and interconnects by manufactures like Cardas, Transparent, Stradivari ect. 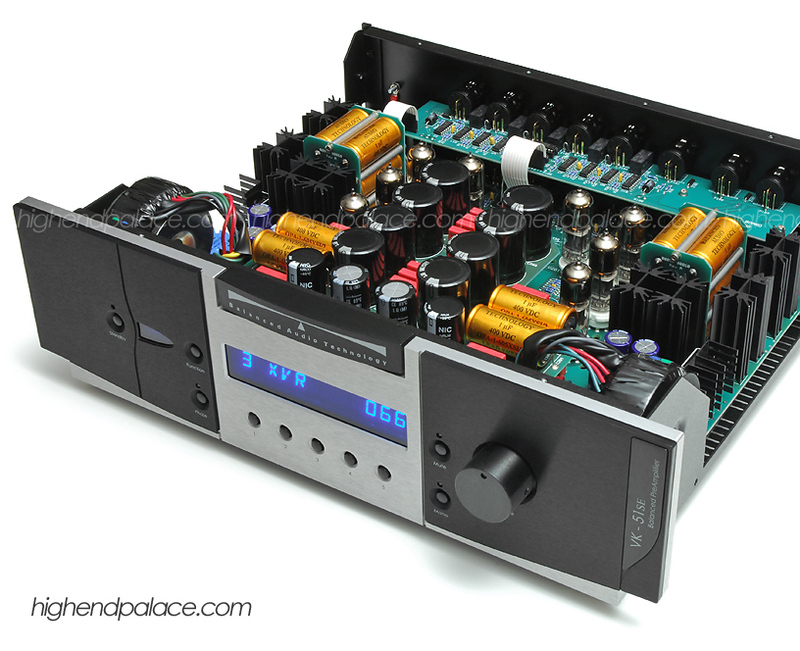 Actual photo of the Viva Linea Reference Tube Preamp for sale shot in high-resolution by Larry D. Diaz for High-End Palace. 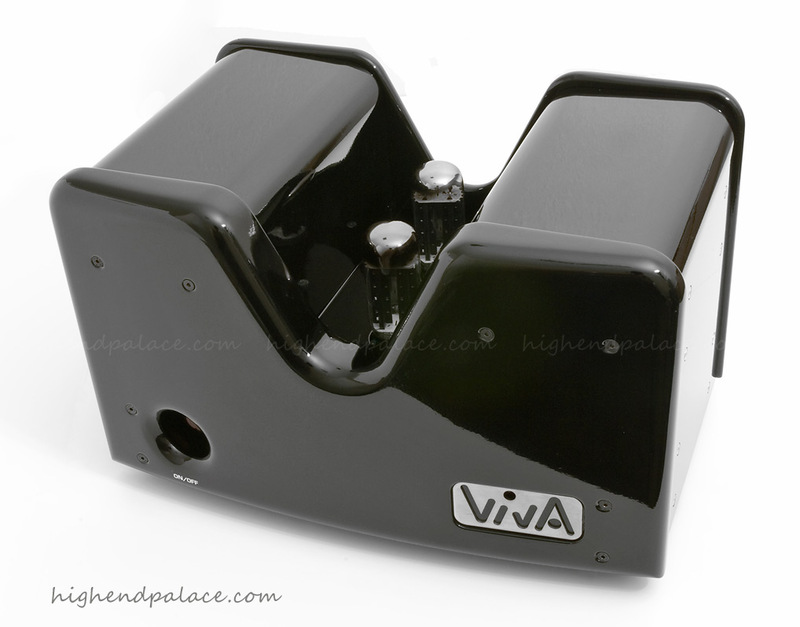 This 100 pound hand built Viva Linea Reference tube Preamp with separate power supply and Home Theater PASS Through Italian masterpiece is the only true reference tube preamp we know of that has a Home Theater PASS Through that's has no circuit boards; it's all point-to-point wiring and uses only two tubes on each chassis for superior sonic transparency. The sound quality is as transparent as it gets and with amazing dynamics. 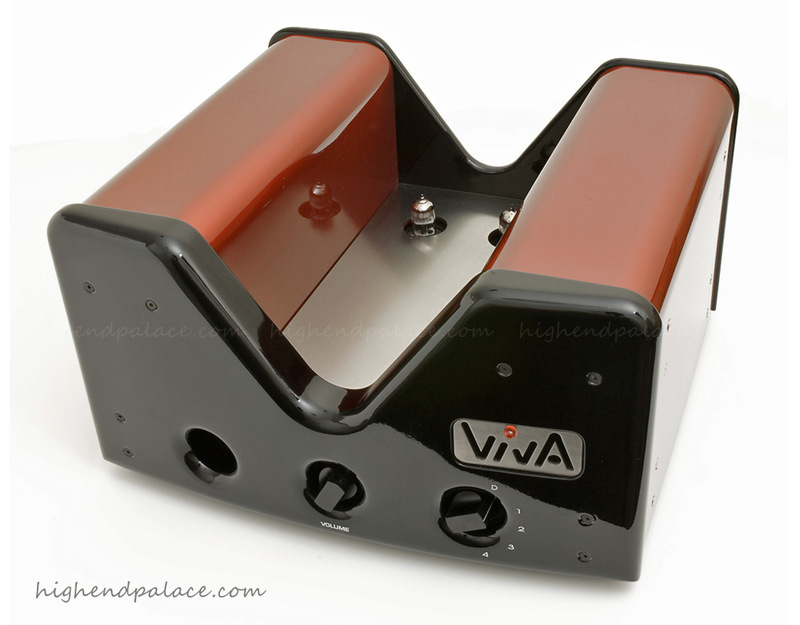 This Viva Linea is one of the best three reference tube preamps we have heard here at The Palace and as you know we have sold and tried everything. This is the Italian First Sound. This preamp has been fully checked by our tech. Visit our website and look under CERTIFIED TRADE-INS, PRE-OWNED & CONSIGNMENT that we have been told for years that we sell the best certified trade-ins in the world. If you need any additional information call me that you could not be in better hands. Actual photo of the CJ-12 for sale shot in high-resolution by Larry D. Diaz for High-End Palace. 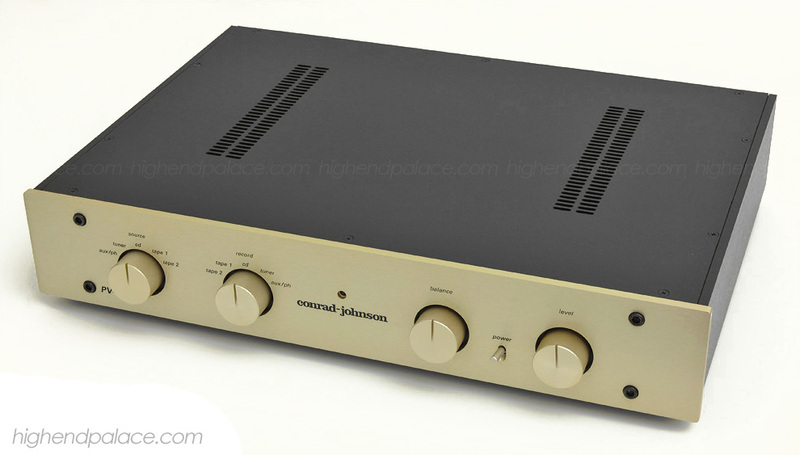 New conditions CJ PV-12 vacuum tube preamp with gold faceplate. Perfect working order CJ preamp, fully checked by our tech and replace the tubes with new gold pins premium tubes for the new owner to have a nice preamp for the holidays. Call us that we have many trade-ins and unbelievable deals for the holidays that we must move to make room for new ones. Visit our website and look under CERTIFIED TRADE-INS, PRE-OWNED & CONSIGNMENT that we have been told for years that we sell the best certified trade-ins in the world. If you need any additional information call us that you could not be in better hands. 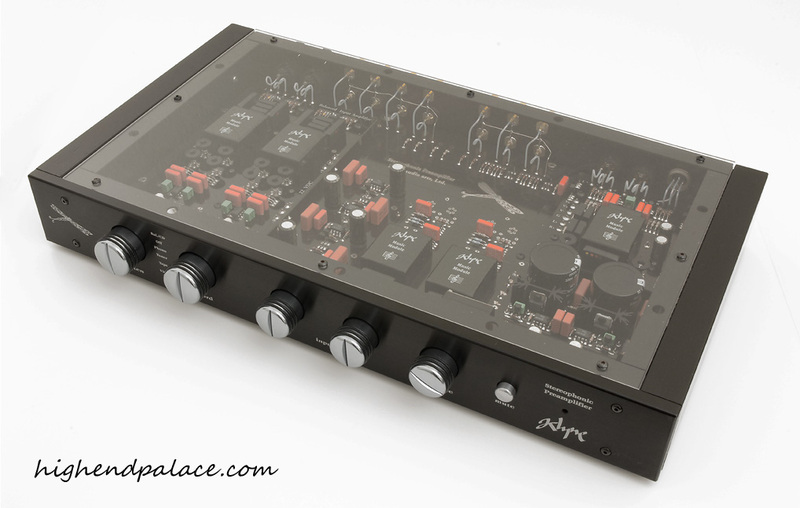 Actual photo of the Klyne Preamps for sale shot in high-resolution by Larry D. Diaz for High-End Palace. 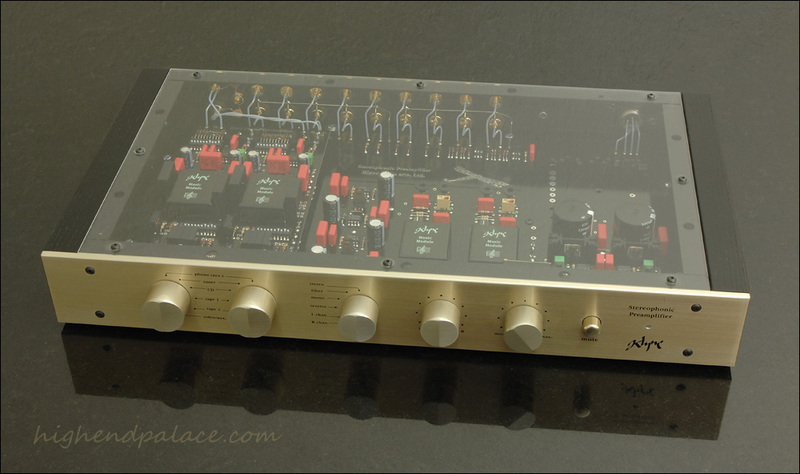 Mint condition Klyne Model 6LX-3P preamp with phono module and gold faceplate. We also have a balanced version Klyne Model 7LX5B with black faceplate with XLR's and RCA's inputs and outputs. Call us that we have over twenty new trade-ins and unbelievable deals that we must move to make room for new ones, visit our website and look under CERTIFIED TRADE-INS, PRE-OWNED & CONSIGNMENT that we have been told for years that we sell the best certified trade-ins in the world. If you need any additional information call us that you could not be in better hands. 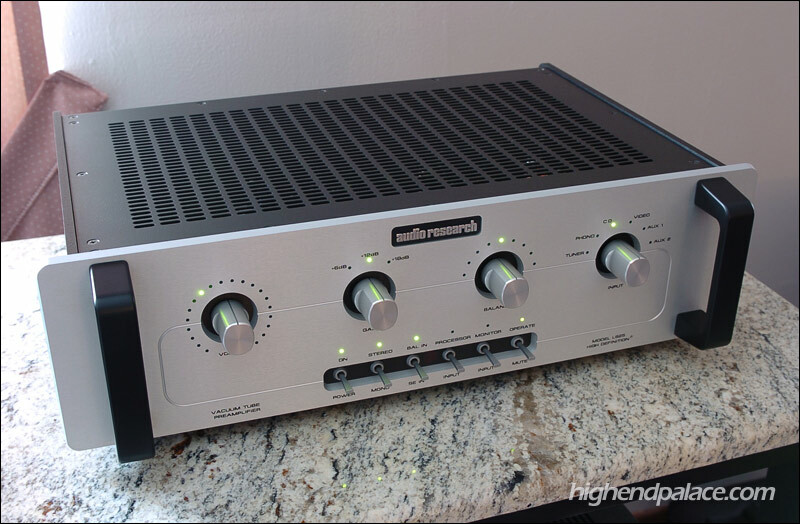 Mint condition Meridian 818 preamp with digital inputs. Low hours, 120 Volt US with all the latest upgrades. One owner unit with remote, manual and original box. New conditions 10/10 BAT VK-31SE with XLR's and RCA's ins and outs, theater PASS through, dual transformers, 14 Oil Capacitors SUPER-PAK, POWER PACK, beautiful metal remote. This preamp is arguably the best overall tube preamp you can buy in this price range. 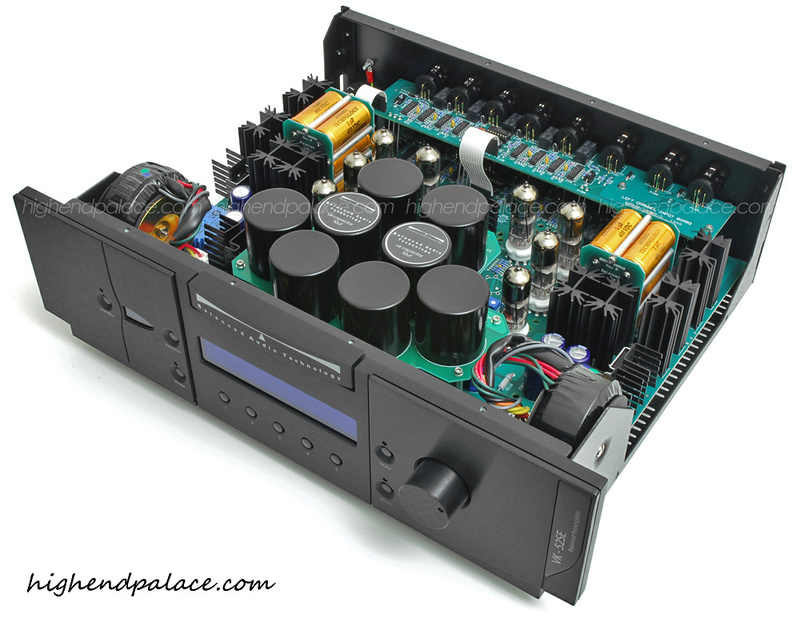 Call us that we make audiophiles dreams come through every day here at High-End Palace. 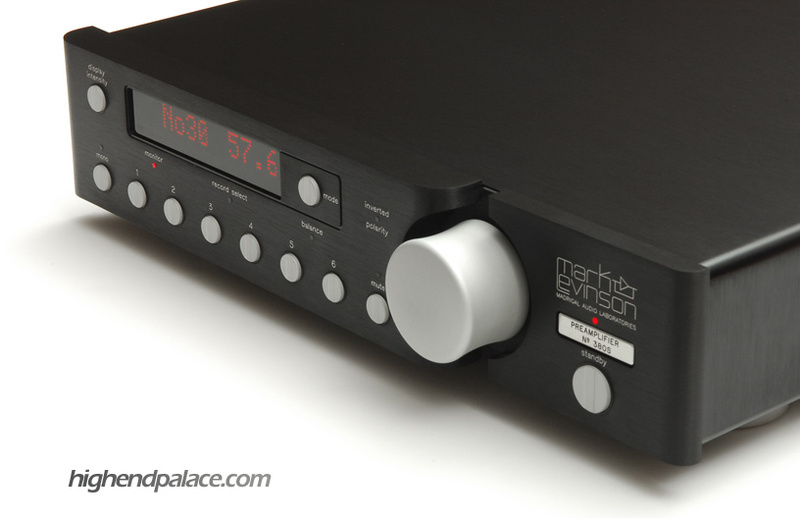 A Mark Levinson No 32 reference preamp in new conditions with metal remote, manual and dual boxes. 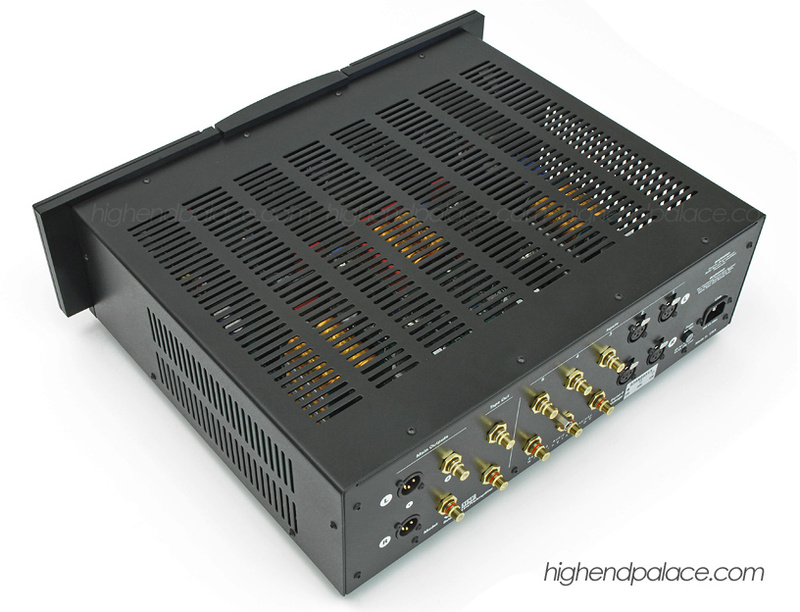 This preamp world class preamp has 8 inputs, 5 RCA's, 3 XLR's. Output wise you have 2 XLR's, 2 RCA's plus one set of XLR's and 2 sets of RCA for recording. Sound wise this No 32 is the best sounding preamp Mark Levinson has ever made, far superior to the 326S, 320S, 380S and 26S. Link to Mark Levinson's Website. 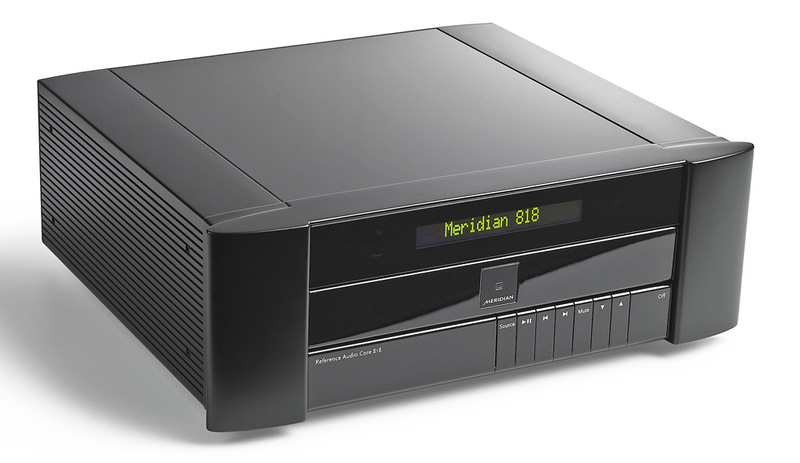 Link to Mark Levinson Brochure. 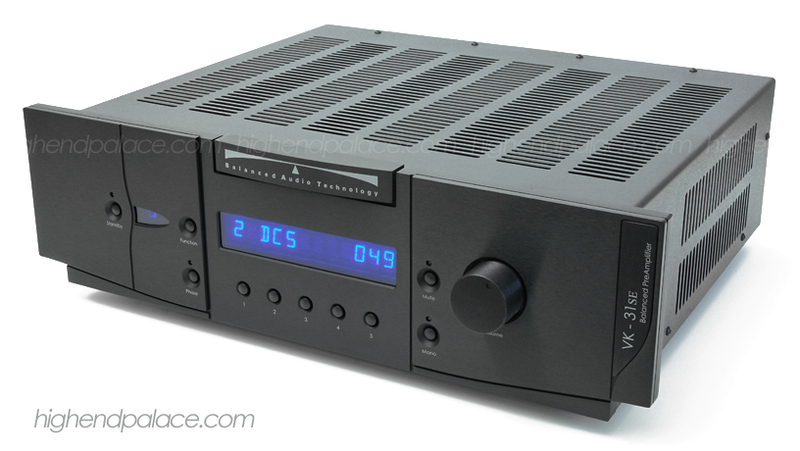 Link to Mark Levinson Specs . 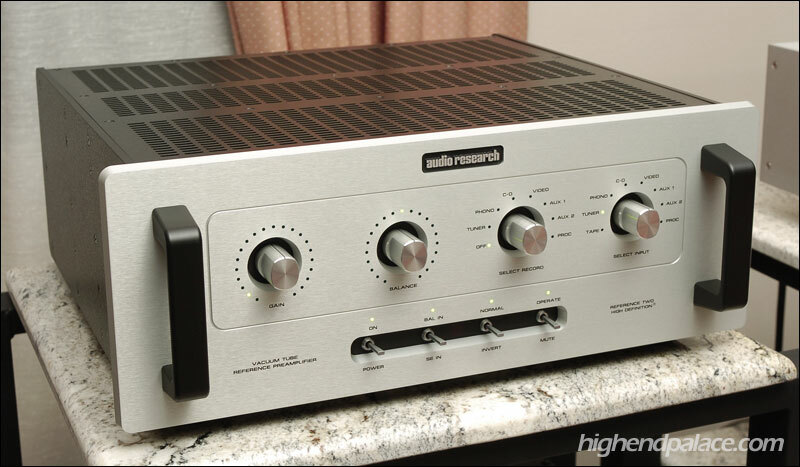 Reference solid state preamp offering a zero negative feedback design, XLR/RCA inputs and outputs, outboard matching silver power supply in superb conditions. Remote, manual and original box. 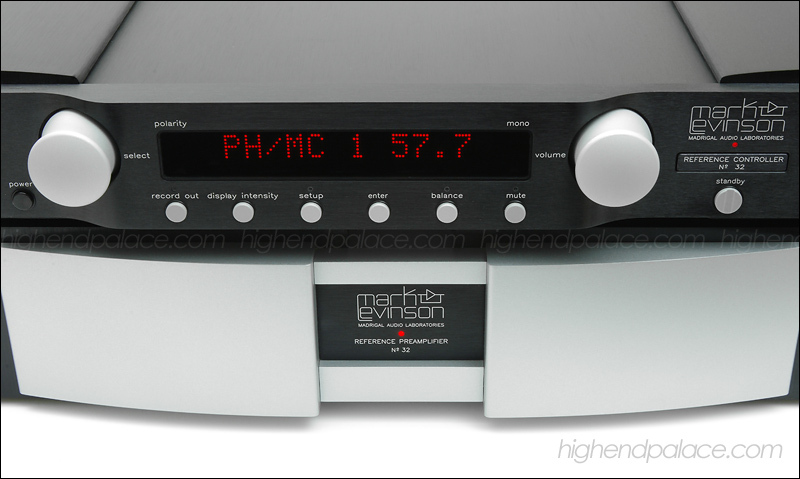 Certified Trade-In Mark Levinson No 32 with new MC/MM phono modules, metal remote, manual and dual boxes. This init is in excellent conditions as you can see on the photos above. Contact Larry at The Palace for more information. Mint condition BAT VK-51SE World Class Reference Tube Preamp trade-ins with metal remote, manual and box. 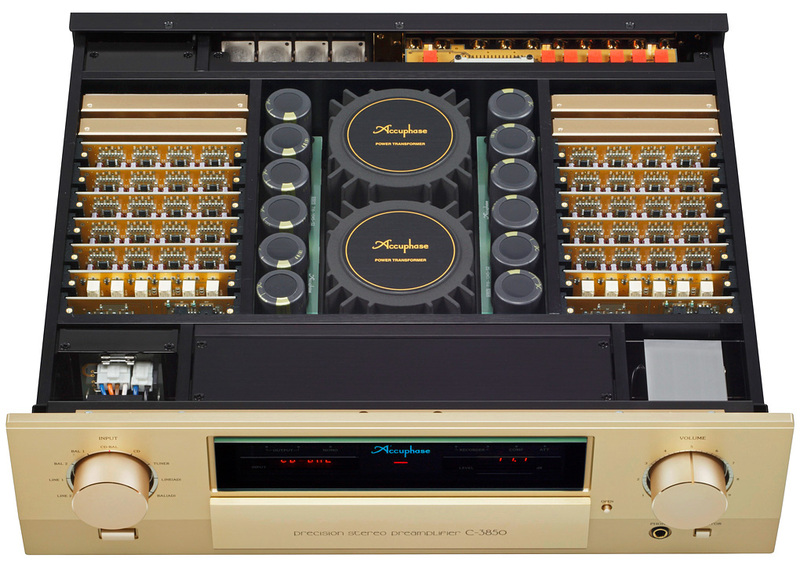 STEREOPHILE CLASS A Recommended Component for years. 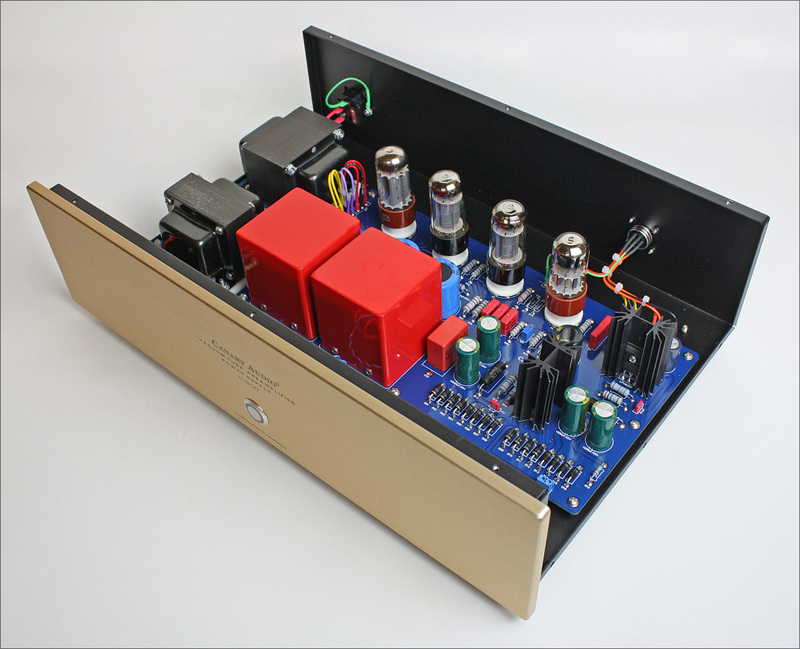 Regarded one of the top 10 Reference Tube Preamps in the world. All balanced Tube preamp with 5 XLR inputs and dual XLR outputs. 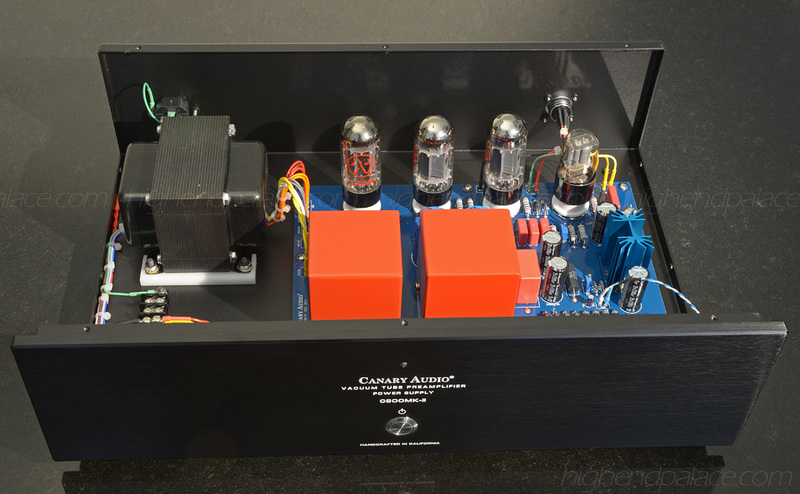 Fully balanced Audio Research LS-25 tube preamp with all InfiniCap's signature and Teflon capacitors. This gorgeous preamp has the natural silver faceplate and a unique array of XLR's and RCA's for every input and output, theater processor pass though, detachable power cord, remote, dual boxes and manual. Unique conditions, in new conditions! 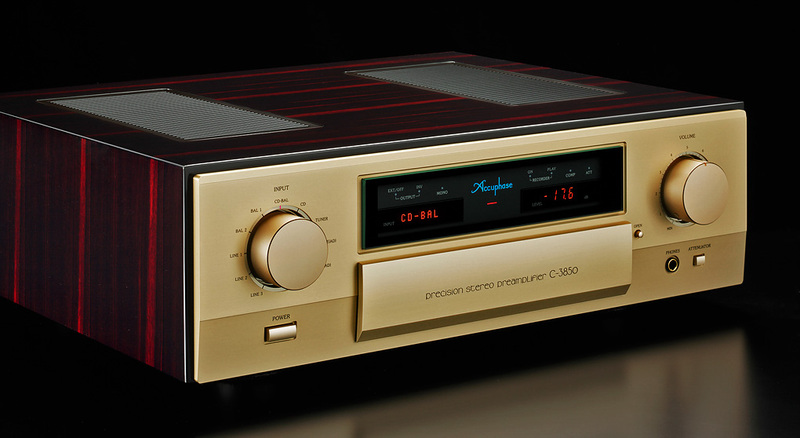 We just got this new condition CJ Premier 17LS Tube Preamp with box, manual and gold metal remote. Superb sounding preamp at a very reasonable price. Kept in a dedicated high-end room, like new! 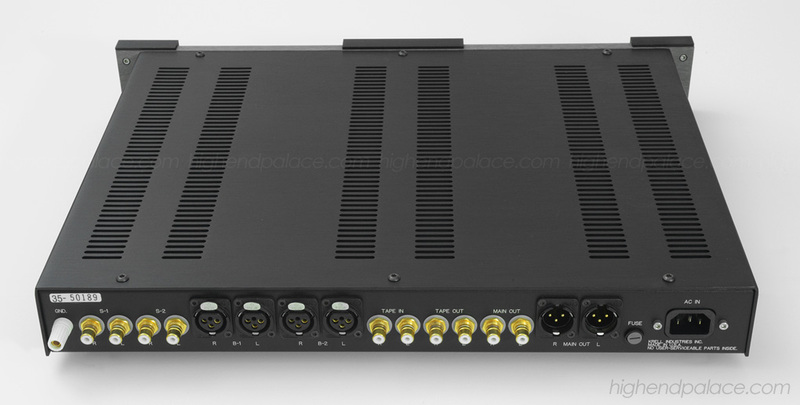 Description: Single-chassis, remote-controlled, tubed line-stage preamplifier. Tube complement: four 6922 dual triodes. Inputs: five unbalanced (RCA), two processor loops. Outputs: two unbalanced (RCA), two processor loops. Frequency range: 2Hz->100kHz. Voltage gain: 26dB. Maximum output: 15V. Distortion (THD or IMD): <0.25% at 1.0V output. S/N Ratio: >100dB at <2.5V output. Output impedance: <850 ohms. Phase: inverts phase of all inputs, at main outputs. Dimensions: 19" (480mm) W by 3.3" (80mm) H by 15.25" (390mm) D. Weight: 21 lbs (9.5kg). The BAT VK30SE with the SIX Pack Oil Capacitors option (Big improvement sonically with these 12 Oil Caps), brand new premium matched sets of tubes that we just ordered for it, metal remote. This beautiful unit has RCA's and XLR's ins and out. One owner unit in superb conditions. 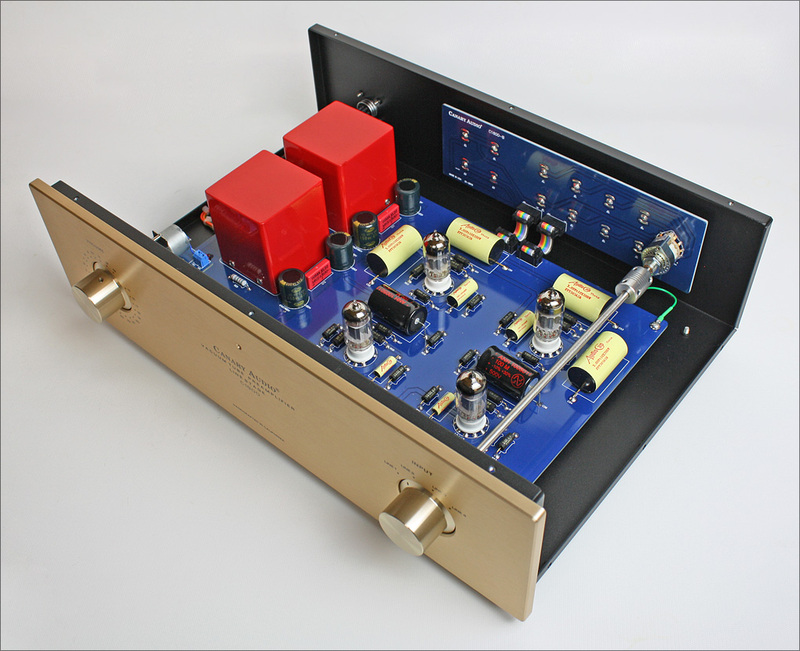 Reference Preamplifier with precision equalizer and outboard power supply. We have the box and manual. 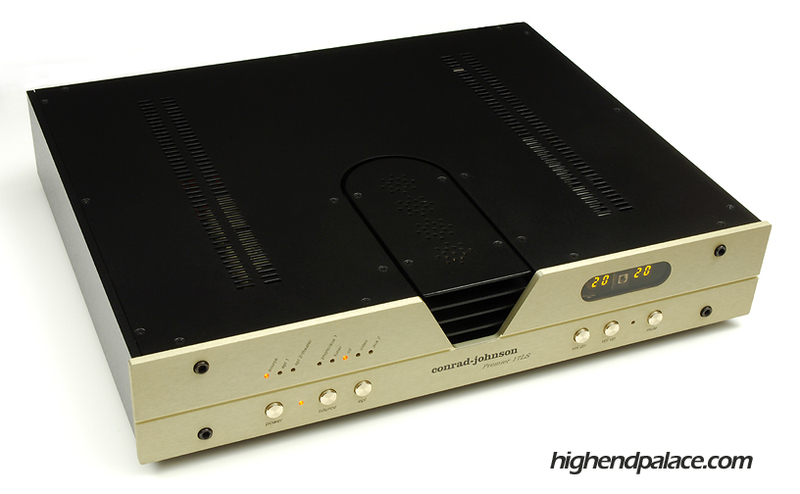 Superb sounding preamp, regarded as one of the best solid state preamp made in the history of high-end audio. 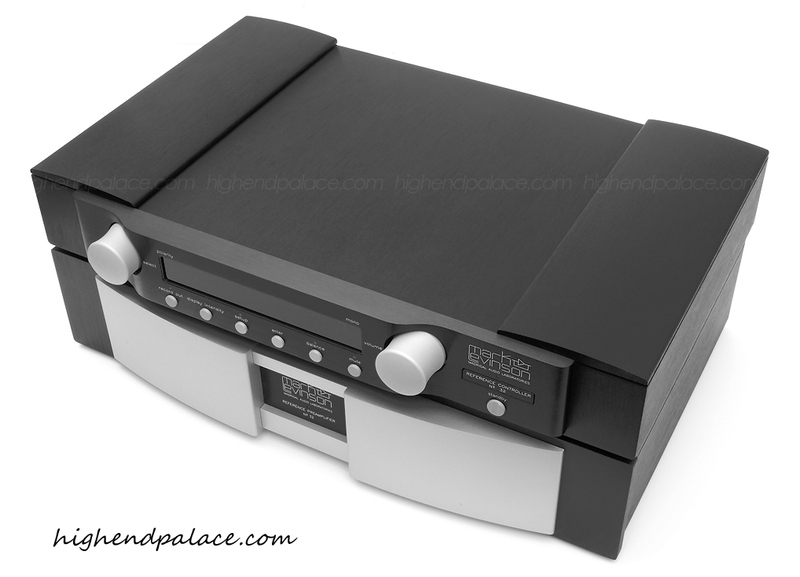 The KRC-HR is a STEREOPHILE CLASS A Recommended Component and is highly regarded by many other magazines worldwide. This stunning balance preamp has the optional Reference Phono Module for MC/MM, massive dual mono outboard power supplies and metal remote. It’s also the cleanest KRELL preamp you will find, well they say that a good photo is worth a thousand words, look for your self in the photo above. Mint condition KRC-HR and checked by KRELL. Mint condition fully balanced Audio Research Reference TWO Mk II tube preamp with remote, home theater pass though and a unique array of XLR's and RCA's for every input and output. We have the remote, original box and manual. World Class Reference Balance Preamplifier with all accessories, remote, manual and custom Jeff Rowland flight briefcase. You will not find another Coherence in these conditions any where in the world unless you call Jeff and tell him to built you a new one. Own a true master piece! The beautiful HP-100 with RCA ins and out. Musical, warm and liquid sounding preamp. Mint condition trade-in with box and manual. This preamp is brand new conditions, it has about 200 hours on it. The newest reference dual-mono design from Mark Levinson with 3 balanced (XLR) inputs, 4 single-ended (RCA) inputs, XLR and RCA outputs, home theater pass though, metal remote. This preamp is brand new, it has just a few hours on it. Contact us for this Levinson 320S! Silver and black BAT VK-51SE Tube Preamp with metal remote, manual and box. 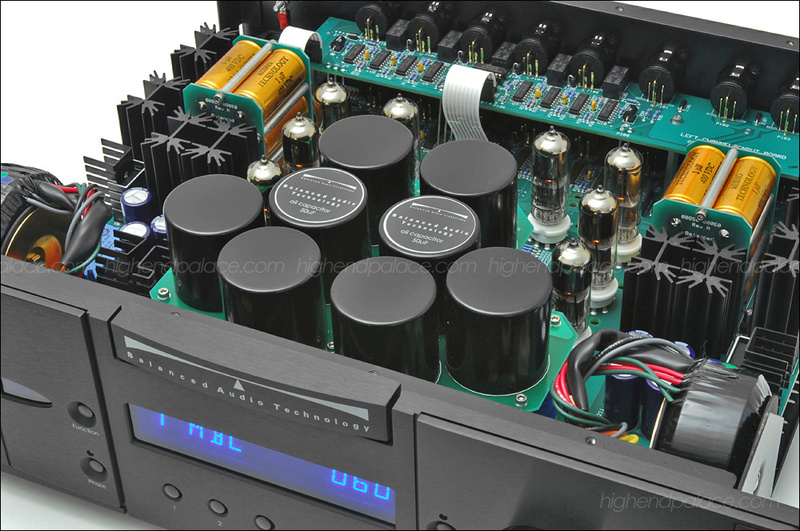 STEREOPHILE CLASS A Recommended Component for years. 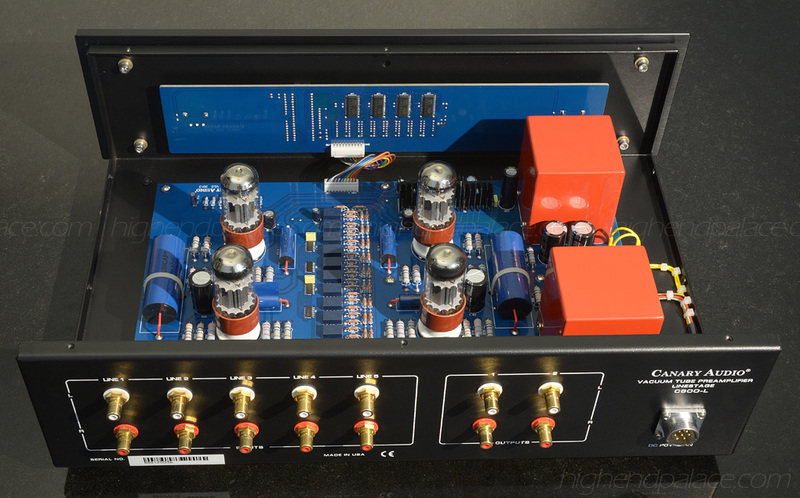 Regarded one of the top 10 Reference Tube Preamps in the world. All balanced Tube preamp with 5 XLR inputs and dual XLR outputs. 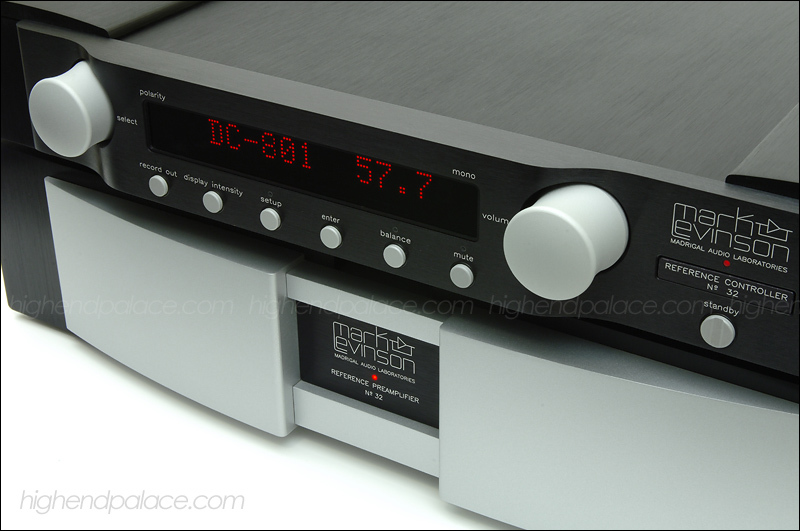 All balanced Mark Levinson No 380S preamp with metal remote and manual, absolute mint conditions! Will ship double boxed. COPYRIGHT © 2019 HIGH-END PALACE™ ALL RIGHTS RESERVED.